Plantar Fasciitis is one of the most common causes of heel pain as well as being one of the most common ailments faced by runners. The pain is caused by the inflammation of a thick band of tissue, the plantar fascia, running across the bottom of the foot and connecting the heel bone to the toes. The stabbing pain commonly experienced from plantar fasciitis typically occurs during the first steps out of bed in the morning and tends to dissipate through the course of the day as the plantar fascia stretches out. The pain may reoccur during long periods of standing or getting up from a seated position. 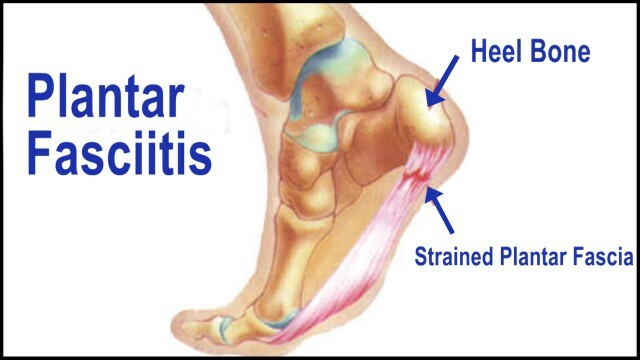 Causes of plantar fasciitis include excessive running, standing on hard surfaces for prolonged periods of time, high arches of the feet, the presence of a leg length inequality, and flat feet. The tendency of flat feet to excessively roll inward, or overpronate, during walking or running makes them more susceptible to plantar fasciitis. Studies have suggested a correlation between an increased body mass index and the development of plantar fasciitis in the non-athletic population; this association between weight and plantar fasciitis has not been observed in the athletic population. Tightness of the Achilles tendon and using inappropriate footwear have also been identified as significant risk factors.